We built our cloud fax service platform and network infrastructure with uncompromising security, compliance and performance in mind from the outset to serve business users with stringent document delivery requirements. Our cloud fax service APIs and out-of-the-box faxing automation utilities offer comprehensive features and proven capabilities to handle seamless integration of business faxing with your business applications and fax document workflow processes. ReplixFax Cloud Fax Service APIs provide a comprehensive suite of programming interfaces to enable your application with cloud faxing capability. ReplixFax offers both SOAP and RESTful Fax APIs with online documentation, sample code and tutorials to help expedite your integration process. ReplixFax provides out-of-the-box fax automation tools to bring you immediate benefits of automating your fax document delivery and inbound fax document workflow processes without time consuming API development efforts. To find out more about our fax automation toolkits, visit ReplixFax Developer Overview. Confidential information is protected “at rest” and across the network. We sign BAA. 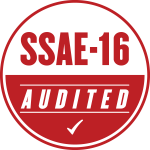 Our data center is SSAE-16 certified. We ensure security of electronic Protected Health Information (ePHI) and confidential financial information. All fax files “at rest” in our service platform are encrypted with 256-bit encryption to protect private information security, and communication is carried out over secure link using HTTPS and TLS. The ReplixFax Cloud assures appropriate safeguards of electronic protected health information (ePHI) through multiple measures that includes secure network connection, password security, 256-bit encryption of fax information and files and storage in a centralized secure location, notification of fax delivery and password protected downloads. All electronic faxing sessions direct from EMR applications via web services API communication are secure and protected. Furthermore, ReplixFax maintains logs for all inquiries, fax requests, retrievals and deletions of all fax images. User activity is logged and can be retrieved via Web Services API or through administrative tools as well as detailed information for each sent or received fax is captured and logged. ReplixFax Service is conducted over secure network protocols and strong encryption of data protecting your confidential financial information. As a fax service provider we meet all PCI requirements. Hosted on a clustered server configuration with redundancy, the ReplixFax Cloud Fax Service Platform delivers maximum availability, superior performance with virtually unlimited capacity. Owing to its service platform architecture implementation, our cloud fax service platform carries out most of its routine service maintenance tasks with none or minimal service disruption without requiring a scheduled downtime. Secure, Reliable Hosting Facility with Maximum Up-time and Compliance. The ReplixFax Cloud Fax Service is hosted at one of the most reliable data center facilities in the industry with multiple locations throughout the U.S. 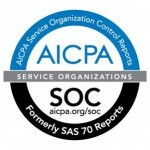 The data center facility is SSAE-16 audited and meets the standards set forth by the American Institute of Certified Public Accountants (AICPA) for security and reliability. It also supports HIPAA compliance for healthcare industry and PCI DSS for financial services. The ReplixFax Cloud Fax Service is provisioned on a telco-grade T.38 SIP trunks to ensure most reliable fax communication via secure network connectivity and redundancy. We provide fax numbers for all locations in the U.S. and Canada and most international locations. You can get either a new fax number or port your existing fax number to keep it. Softlinx provides global business organizations with cloud-based business tools to better manage their document delivery and management processes. © 2015 ReplixFax. All Rights Reserved. ReplixFax is a registered trademark of Softlinx, Inc.